For two days each month, the guides Sonja, Martina & Renate will help the group to evaluate how far they have come, and where on their journey they are. ‚ProfilPASS‘ is a German instrument which will be used alongside the Leadership Journey, allowing participants to assess their own competencies and abilities, and how they have developed during their time here. Thursday’s exercises have included introductions by the group, including new questions such as ‚What did you want to be when you were 15?‘ and ‚What do you think learning about your competencies will achieve?‘ A large board of answers was created, to be revisited and evaluated in March 2013. Did the group get what they wanted? Did they go beyond their predictions and learn things they never would have predicted? 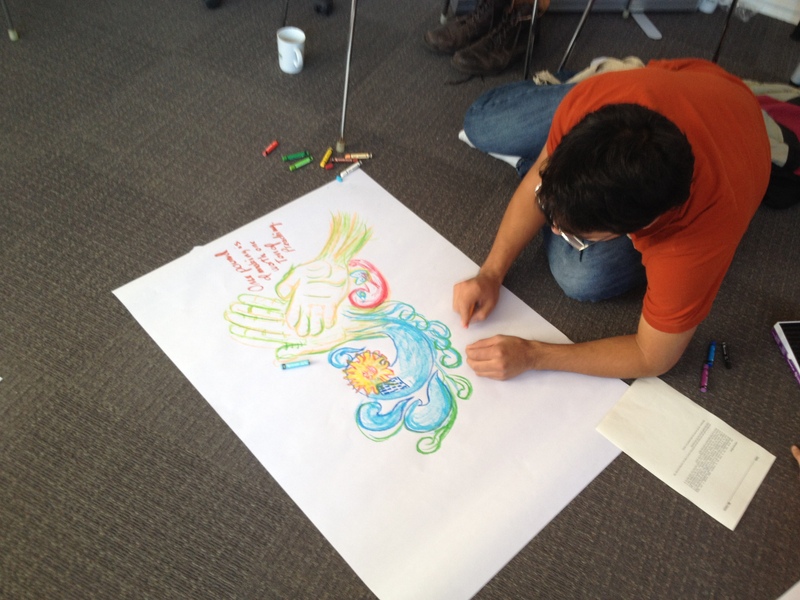 Following this, participants were encouraged to think about where they wanted to be in 3-5 years time e.g. what work they would be doing, what their work environment would look like. Once imagined, crayons were distributed and colourful posters created to help make the visions come alive. After lunch, teams of two were formed, and brainstorming helped participants to discover what would be needed to realise their vision. Questions such as ‚What would keep me from reaching my goal?‘ and ‚Who/What is supporting me?‘ Again, poster boards were created and presented to the rest of the group to share the thoughts amongst everyone. 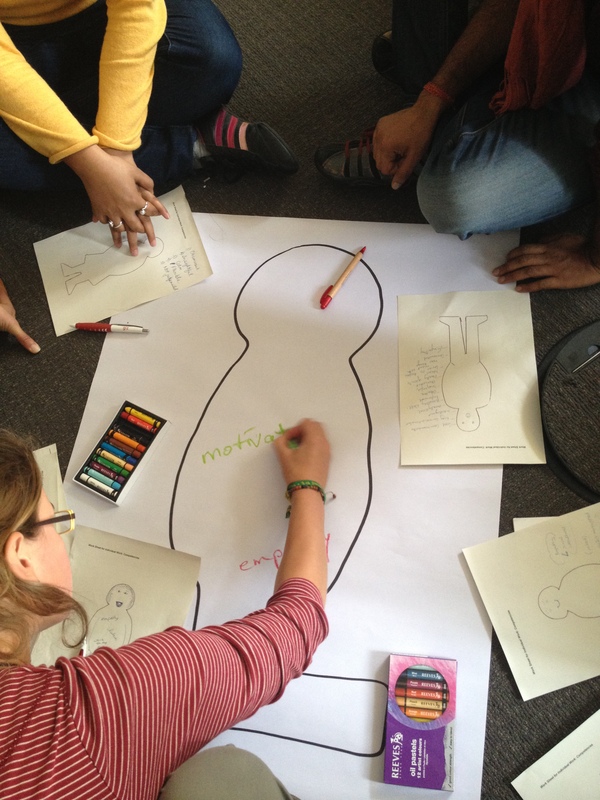 The next exercise involved blank drawings of bodies, which participants were asked to fill with the competencies they presumed they already had, both in relation to ESD & the wider world. Discussion then ensued about which ones were common to most, and which ones were aspired to by others. The leadership exercises will continue tomorrow.. 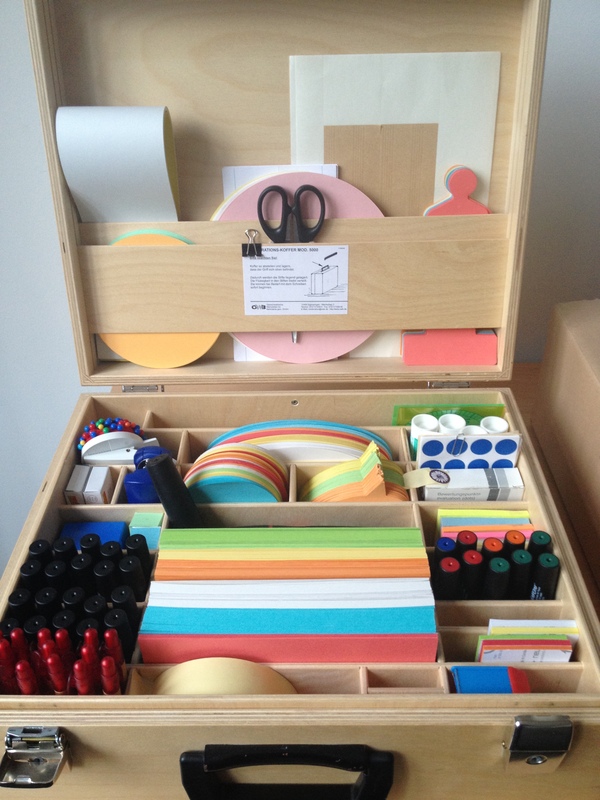 Box of Art Supplies to aid creativity! 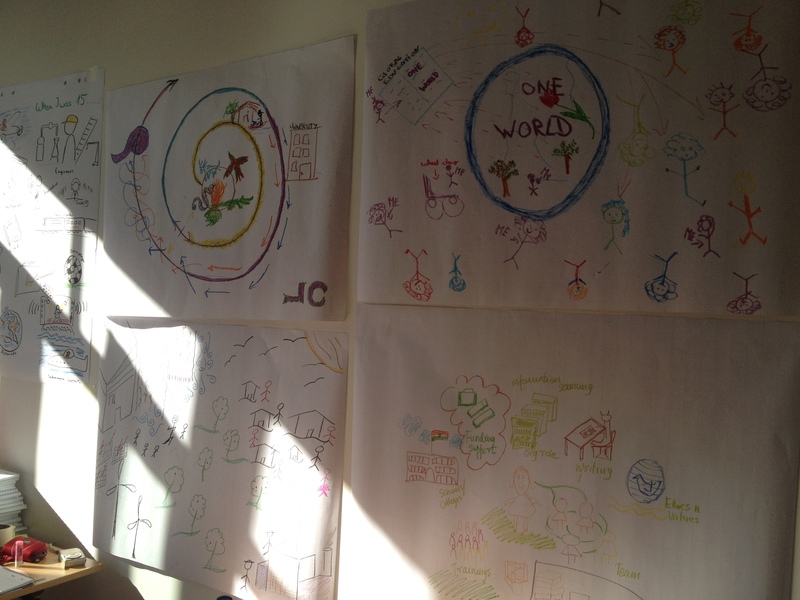 Dieser Beitrag wurde unter 2012 | ESD LT, English abgelegt und mit ESD, Leadership Journey, Sustainable Development verschlagwortet. Setze ein Lesezeichen auf den Permalink.